Keyon Olia (10) set up nicely by Chip Sherman for first Masco goal. Chip Sherman (he had two assists) heads toward the Jets goal. 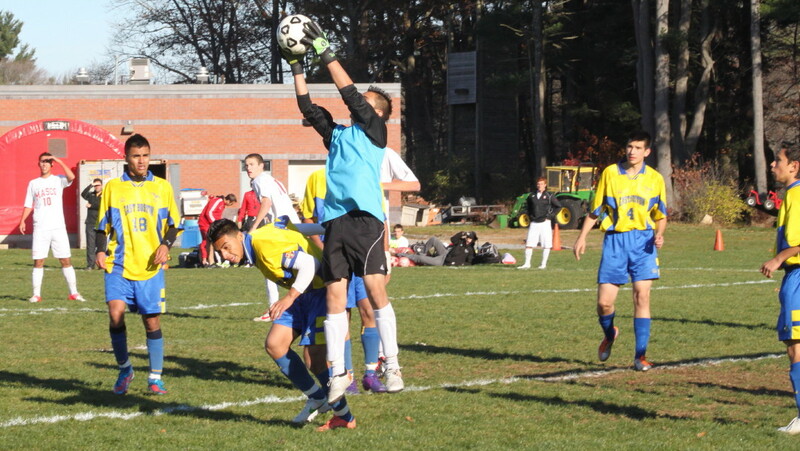 (Topsfield) Now let’s get down to some serious soccer! 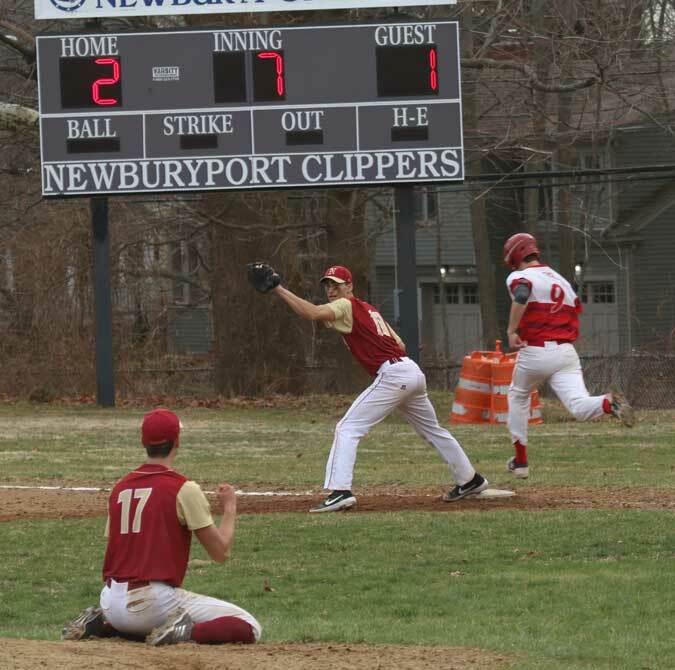 #1 seed Masconomet made easy work of the visiting East Boston Jets, 3-0, on a sunny Tuesday afternoon and moved on to a Thursday night matchup with #3 seed St. John’s Prep. That Division 1 North semifinal contest (7:30PM at Manning Field in Lynn) on Thursday should be special. The Prep is 16-1-2 (only loss to Weymouth on September 29th) and rated 3rd in the Boston Globe Top 20 teams. 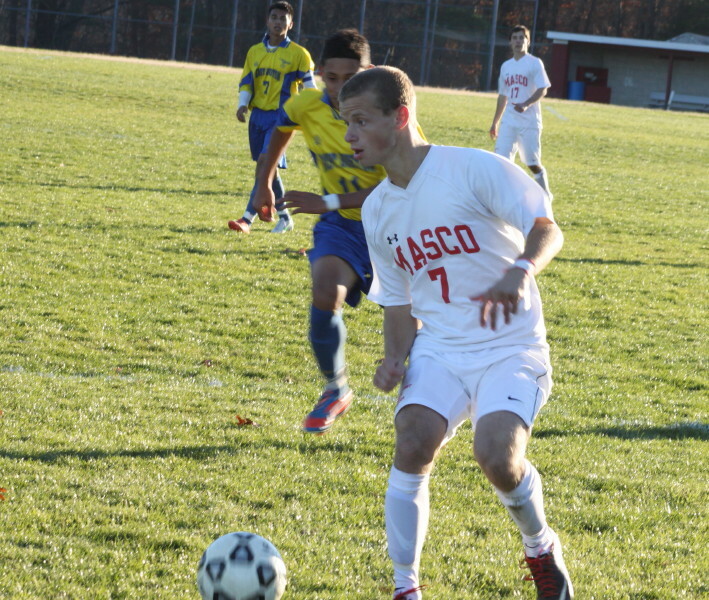 Masco (18-0-2) is rated #1 by the Globe. The Chieftains last loss was in the Division 1 state finals to Ludlow. 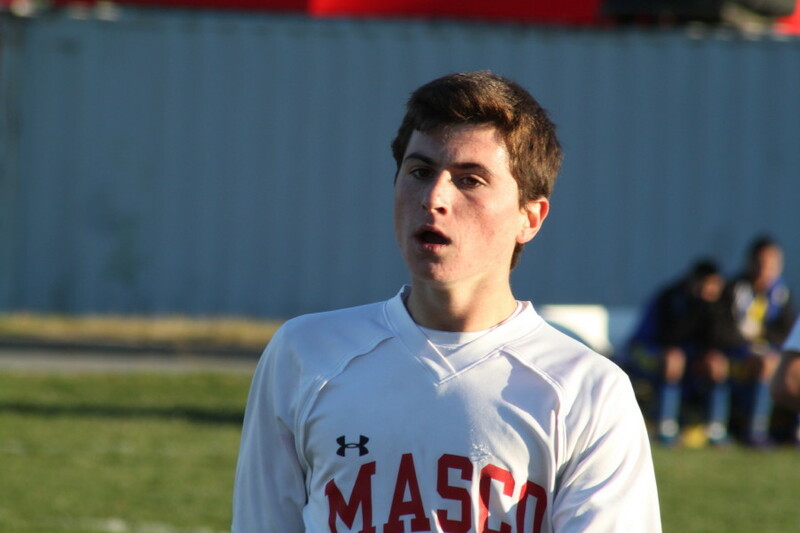 But you’re reading this to find out about the Eastie/Masco game………sorry for the digression. The Chieftains got a quick start in this Division 1 quarterfinal match by scoring (Keyon Olia) in the first 1 ½ minutes. The home team went on to kept the pressure on the #9 seed most of the game. Chip Sherman earned the assist on the first goal with a terrific pass from the right into the middle where Keyon had time to line up a hard shot. 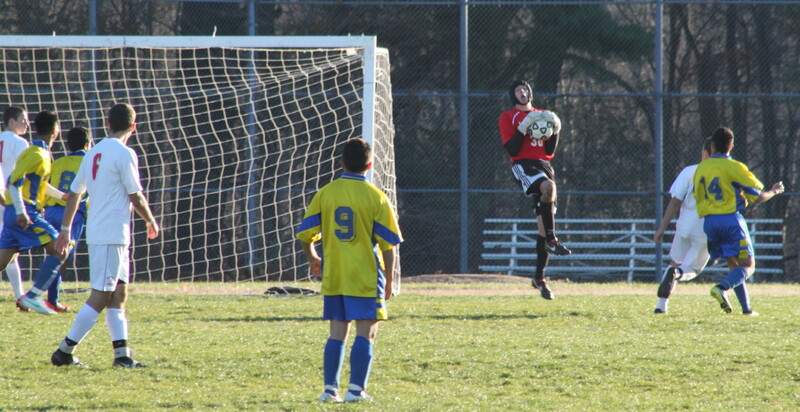 The Jets had a few shots toward Masco GK John Black but they were either long direct kicks or grounders. 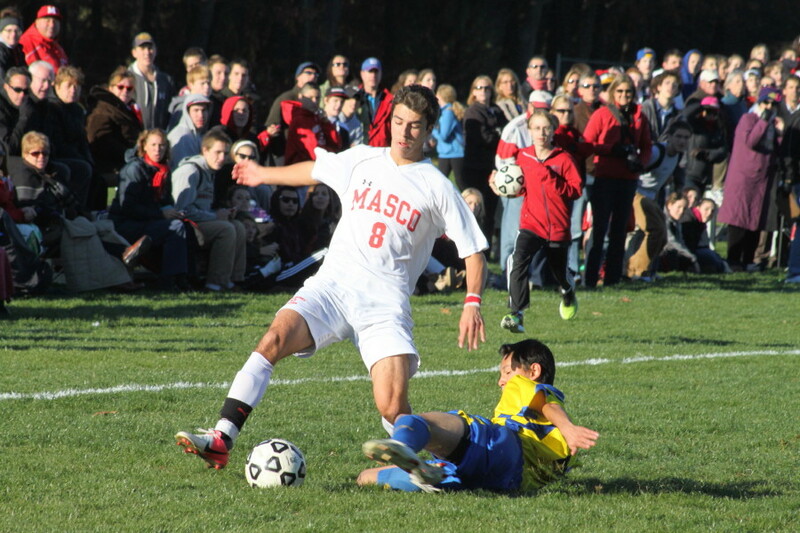 Masco, on the other hand, came close often in both halves. Their willingness to pass the ball, even when they were in close, set up countless near-misses from the front of the Eastie net. 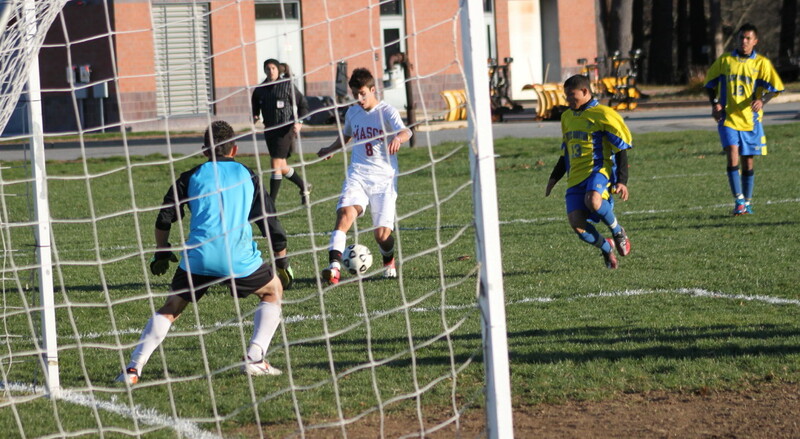 Freshman goalie Edwin Avelar robbed Alex Gikas from point blank in front early in the second half. Colby Farmer drills the second Chieftain goal. 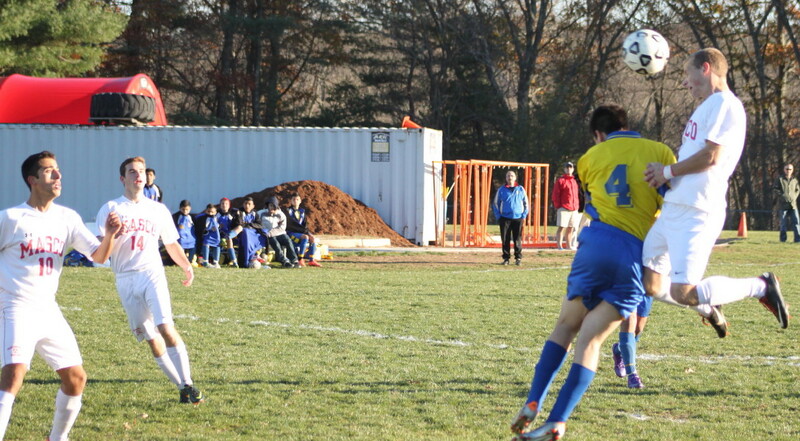 One save that Edwin couldn’t make was off a shot from just inside the box by Masco’s Colby Farmer late in the first half. Edwin had a very good look at the shot coming in, but at the last second teammate Eddy Umanzor slide across in front of him and deflected Colby’s shot inside the near post. This gave the home team a 2-0 lead. Chip Sherman earned his second assist in the second half on Goal #3. 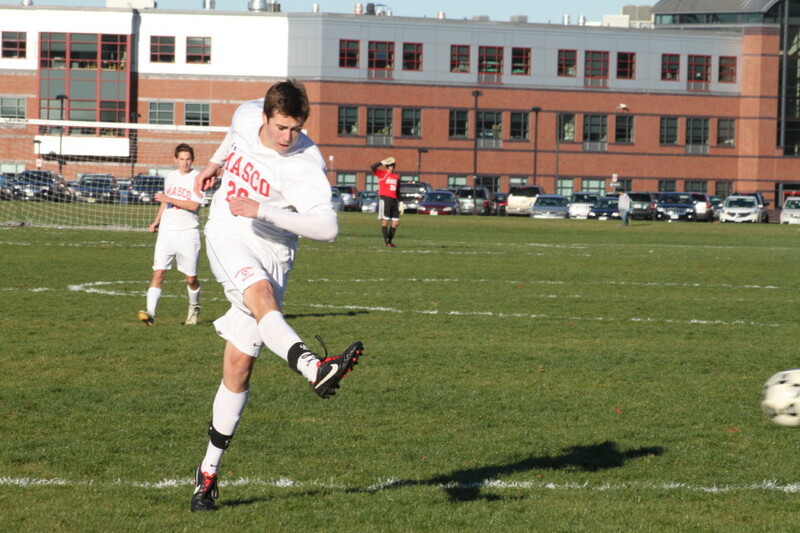 Masco’s Max Craig was taken down near the box and Chip took the direct kick that resulted. Instead of blasting a shot toward the goal, the Cape League Player of the Year fed teammate Adam Grammer all alone in close. Adam had time to fake at least one shot before netting a score with seven minutes left. 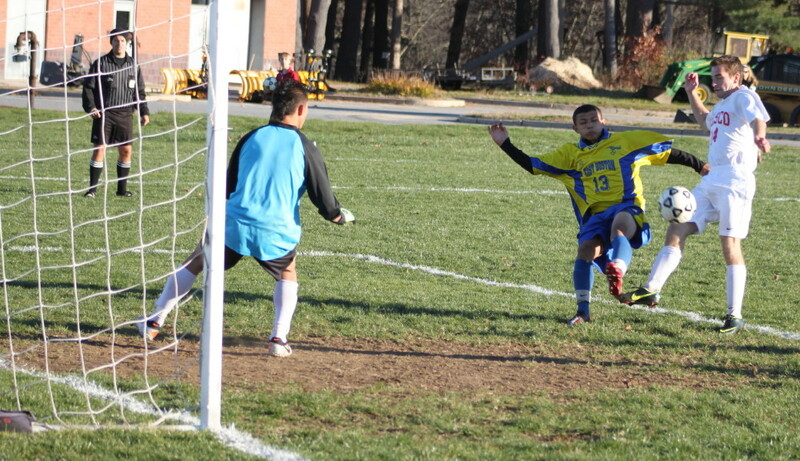 Edwin Avelar makes a save for East Boston. Despite the loss, Eastie displayed some impressive dribbling skills. They forced a lot of defensive misses going east to west. Going north to south was much harder. Masco’s fresh legs (they substituted frequently) gave Eastie few runs of any length. Masconomet looked awfully good in this one. 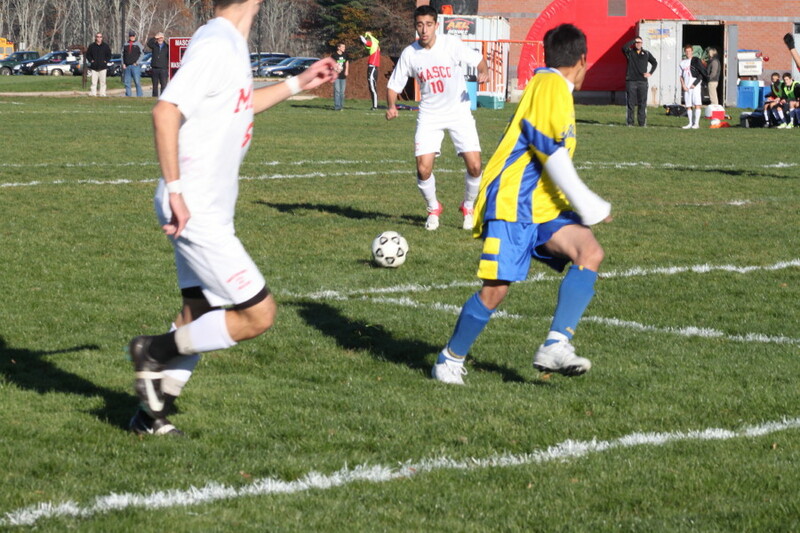 Their positioning prevented East Boston from putting consecutive passes together. 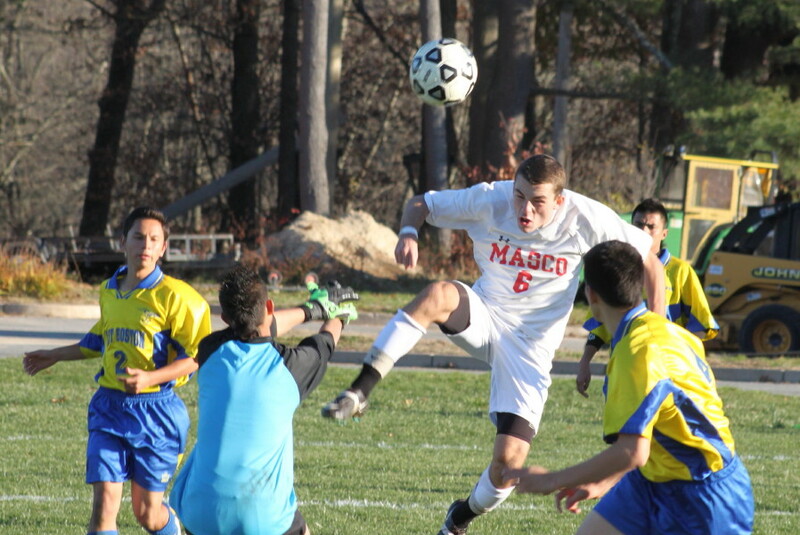 And the Masco passing helped them buy control-time no matter what part of the field they were in. Let’s see how they do against a very good St. John’s team. A good crowd of Masco supporters attended. I wonder if we’ll remember the result of this game or the Presidential election result longer. Eddy Umanzor (13) moves in to stop Paul Criscione in the second half. Adam Grammer contests Ben Lara (4) in the air. Masco goalie John Black takes in a long Eastie shot.